It had been long since we have discussed anything regarding being funny, hilarious, etc. Reasons are quite solid by us that we are busy, but kids globally can teach us a thing or two as they constantly relax their mind and soul with funny cartoon images. First, let us understand the importance of a cartoon and how it relates to a child psychology. Cartoon or a caricature is the basic thought of being funny; means who doesn't want to be happy? Everybody wants right and this thought of happiness was portrayed into sketches by Walt Disney who produced a series of caricatures which are globally famous. The major reason why children find cartoons funny is that they are colorful, they can talk, can dance, can act like a superhero and yes they can act stupid too that is funny. Basically it's a thing that a child thinks as his friend, a dear friend. Someone who is there for him or her virtually and they can see the pictures too. Now let's have an insight to those exciting cartoons that make children dance in joy. 1- Winnie the poo- A wonderful chubby bear spending his life with his friends and his daily struggle to get more honey. This exciting caricature with millions of Gif based images has captured the innocent minds forever. Out rightly hilarious with clean messages on friends and daily morals. 2- Fred Flintstone- It is another distinguished name in the history of cartoon films where the character Fred acts as the husband to Wilma and father to pretty tiny pebbles. They all live in Stone Age and its hilarious addition to fun world. 3- Bugs Bunny- Bugs Bunny stays cool in a crisis he is quite able to outsmart any Looney Tunes rival who disturbs his relaxed lifestyle. Whether going up against Elmer, Sam, Marvin or Daffy, Bugs Bunny will win any Looney Tunes battle of wits with carrot-crunching charm. It's a hugely funny character. 4- Tom & Jerry- The mouse and cat story still now thrill small kids. They love to draw their picture, colour them and watch the cartoon show. 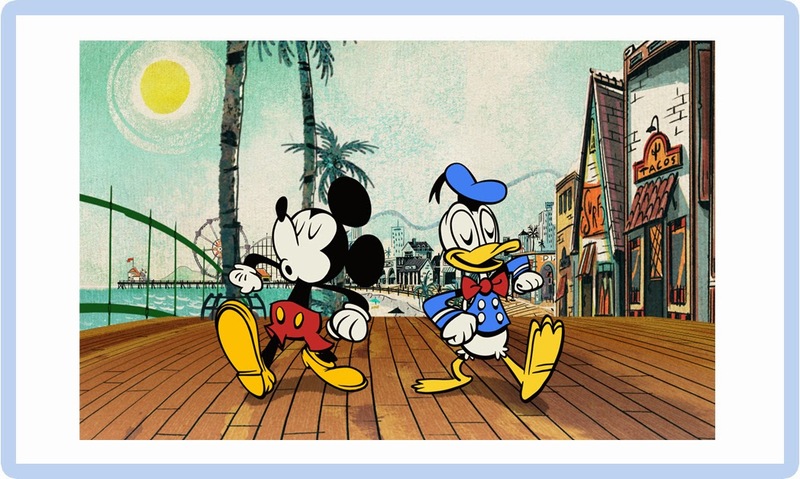 5- Mickey mouse & Donald duck- This is the ultimate in caricature where a mouse and duck lives with their friends and family and how they deal with every day problem. Quite a exciting cartoon for all the kids. These are some of the funny cartoon images drawn by the famous Walt Disney except Winnie (the pooh). Children love to see these images time & again with their parents and friends and as these are coming up in GIF format the popularity of these are growing up. We may define these images as the getaway to happiness in children's life for sure.